Sun Hydraulics recently introduced their new line of FLeX hydraulic valves and coils. The FLeX family features completely new high-performance solenoid operated valves designed for both the mobile and industrial markets. Coil options that include interchangeable low-power, high-power and hazardous location (explosion-proof) versions for expanded configuration flexibility. Valve and coil package that delivers a perfect market-priced solution. 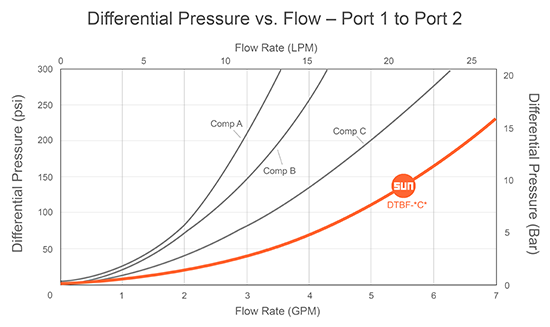 Advanced Fluid Systems is excited about the new products and has already placed an order for 600 valves in 20 different cartridge valves configurations, as well as 12VDC, 24VDC and 115VAC coils in DIN 43650 and “explosion proof” styles. 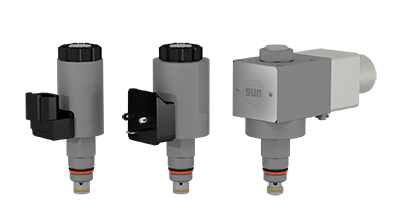 Sun Hydraulics will begin shipping the FLeX line of valves Jan 2nd, 2018.